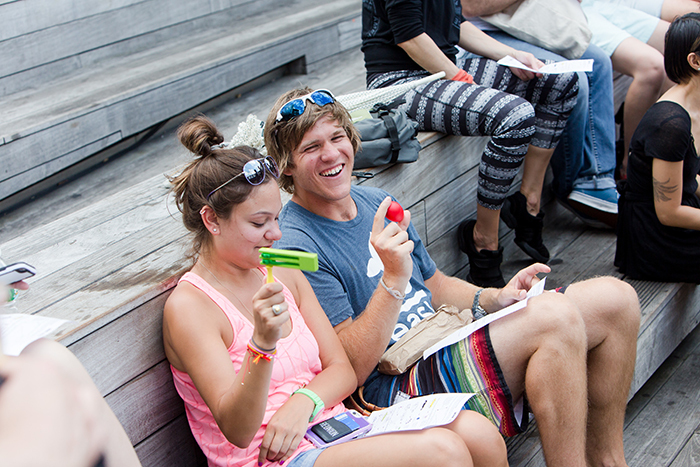 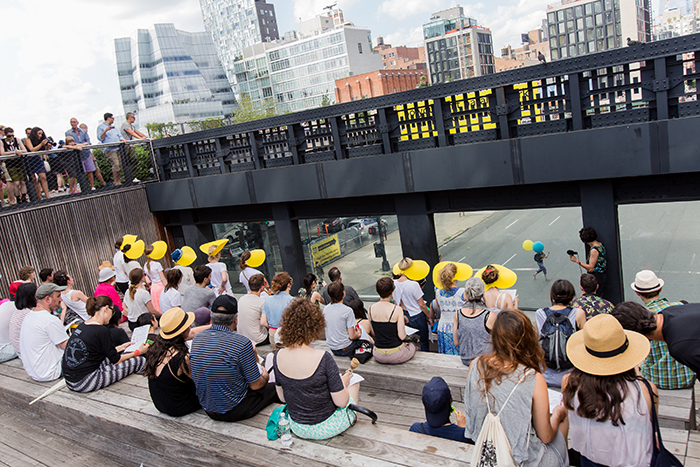 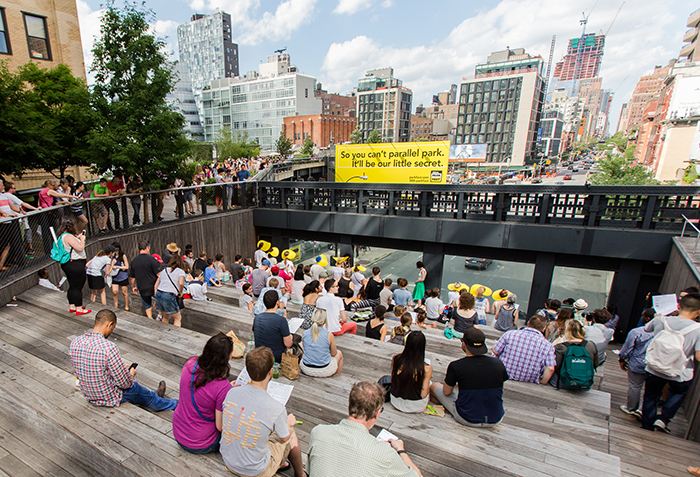 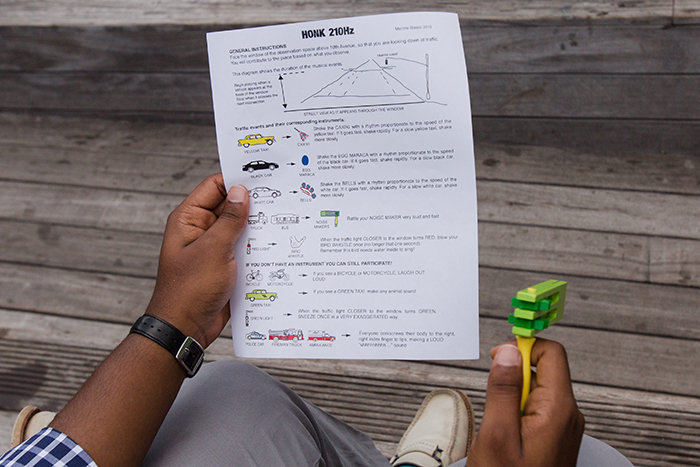 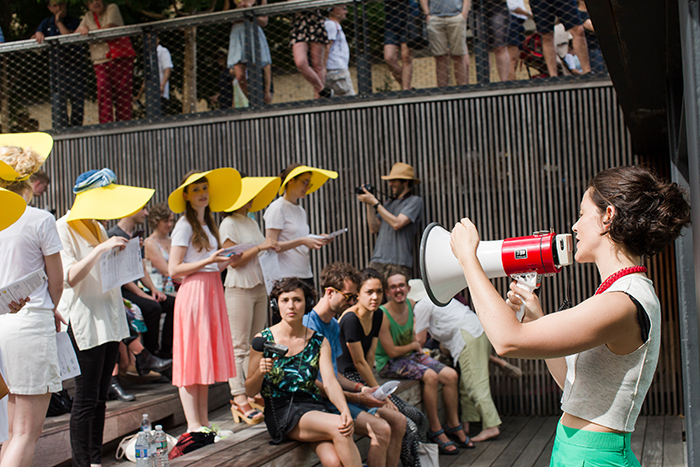 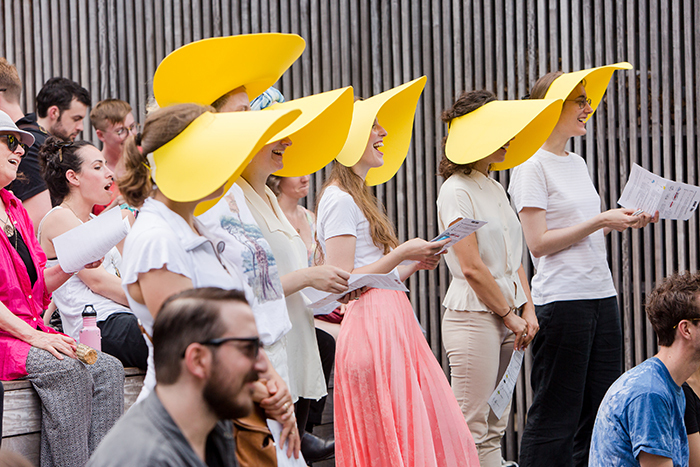 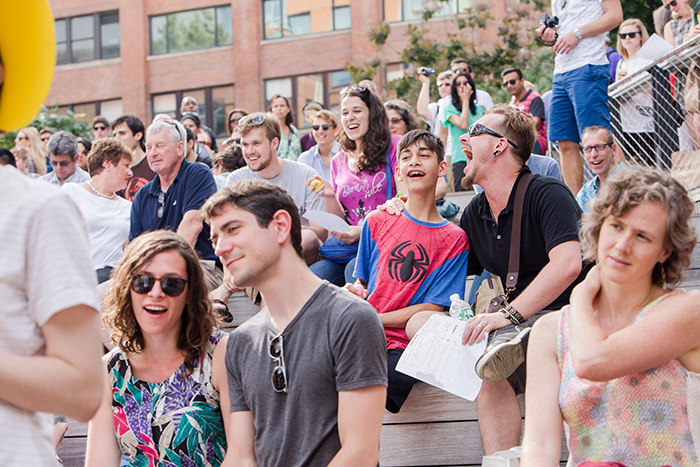 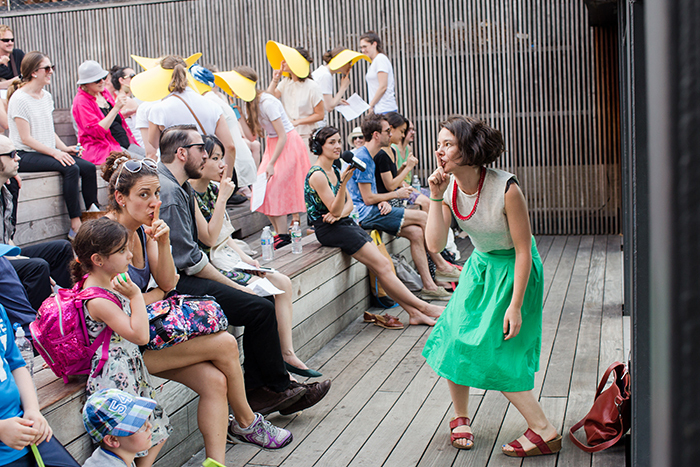 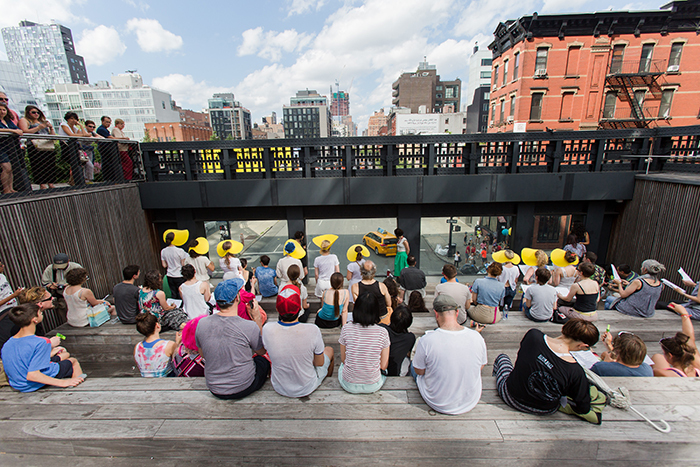 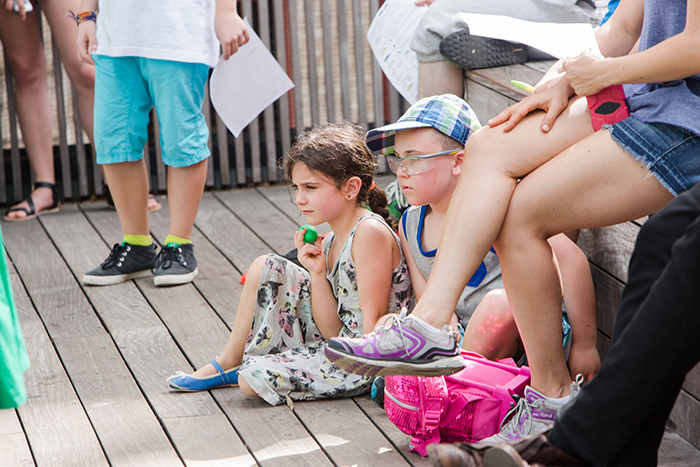 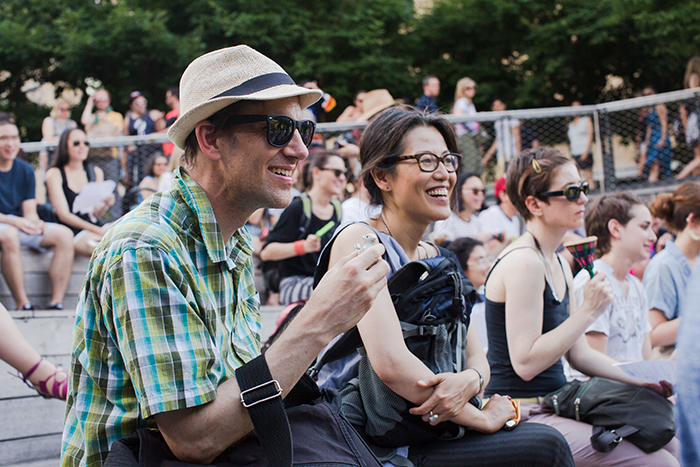 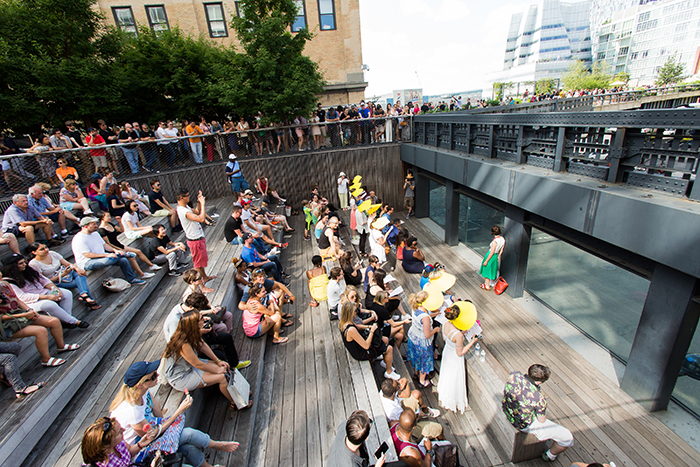 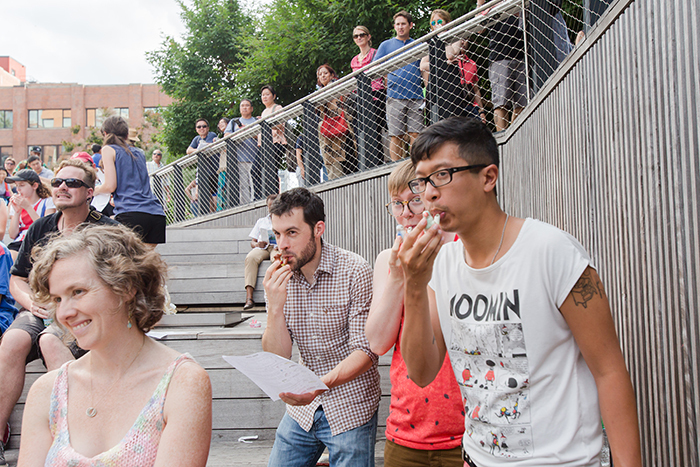 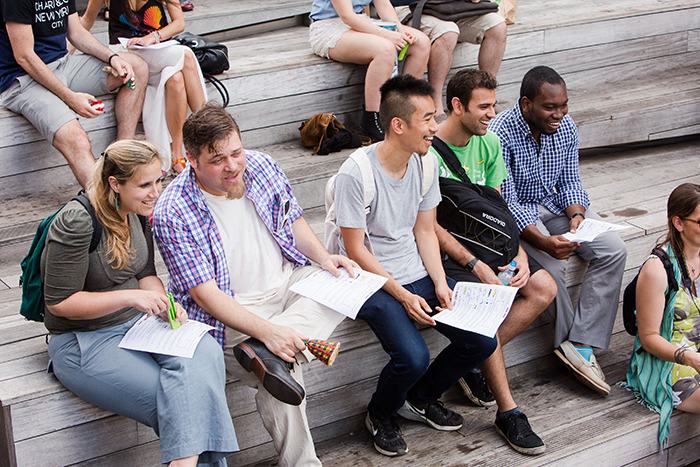 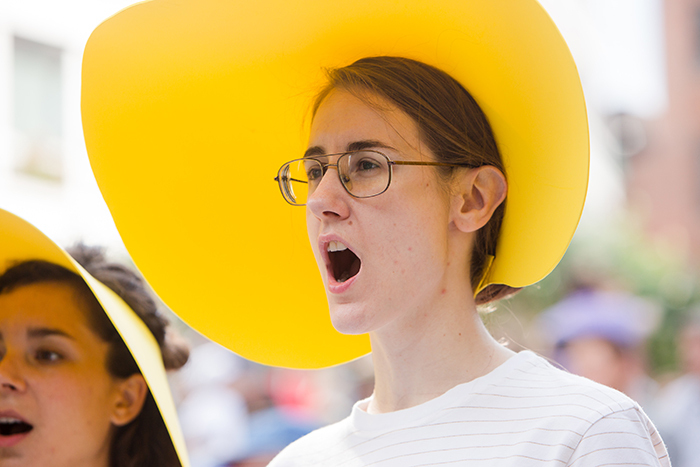 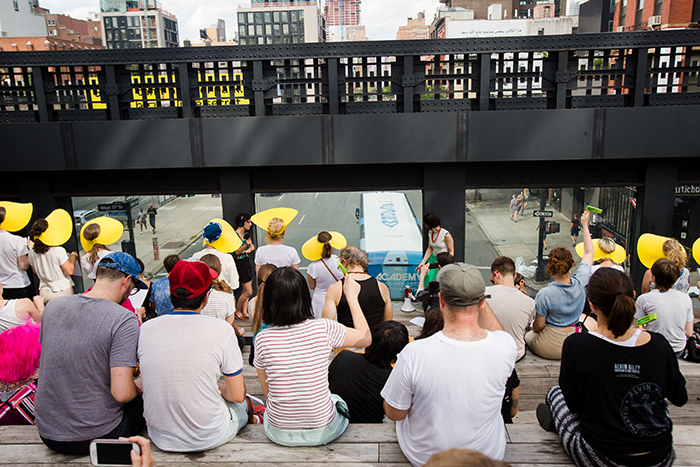 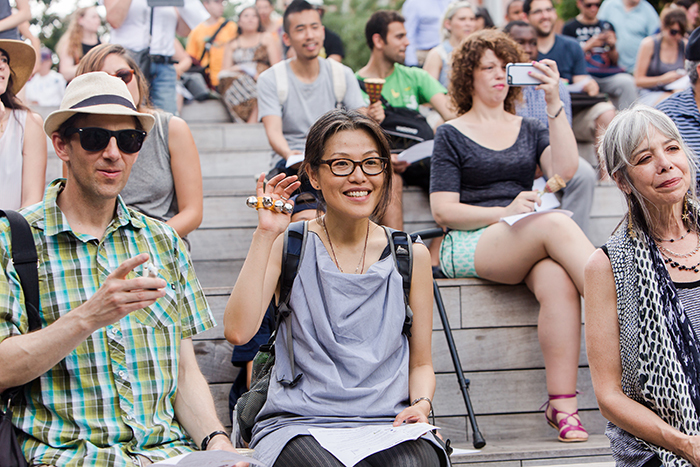 Honk 210Hz is a site­-specific participatory sound performance in the observation space of NYC’s High Line, presented in June 2015 with the support of Friends of the High Line and Make Music New York. 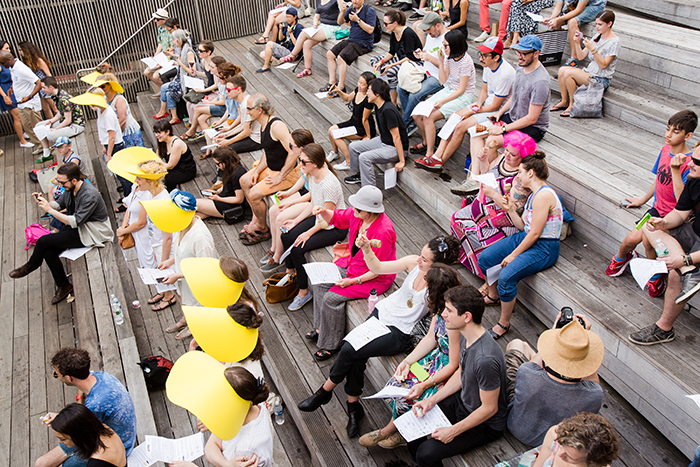 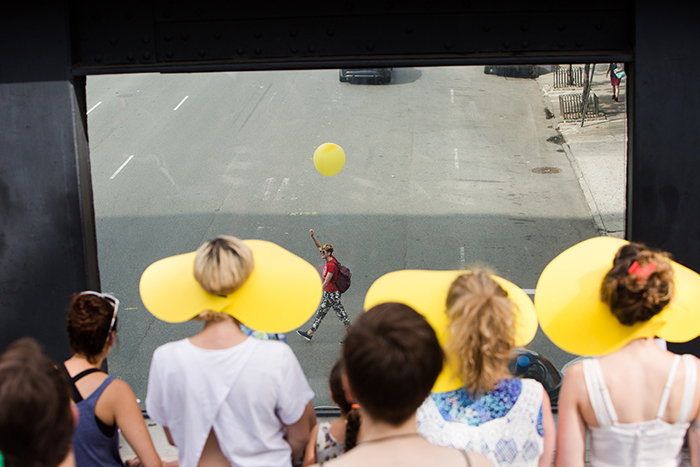 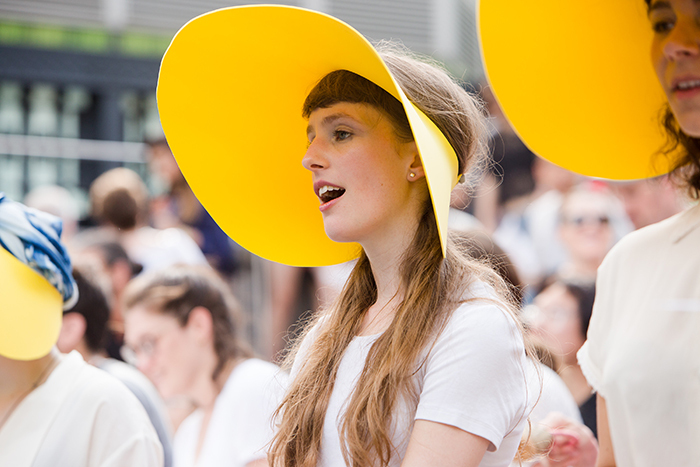 Nine singers– Sarah Small, Dafna Naphtali, Jessie Lauren Stein, Bridget Hogan, Emilie Weibel, Fjóla Evans, Charlotte Mundy, Catherine Provenzano and Megan Schubert — standing in an observation window above 10th Avenue, created a live sound composition in response to the shifting traffic patterns down below. 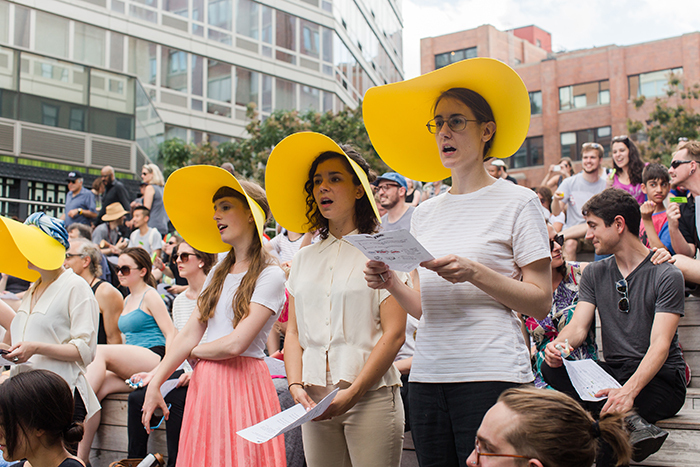 The singers were arranged in groups corresponding to each lane of traffic, and the performance was conducted spontaneously by random traffic events, which triggered specific audio responses according to a prewritten score. 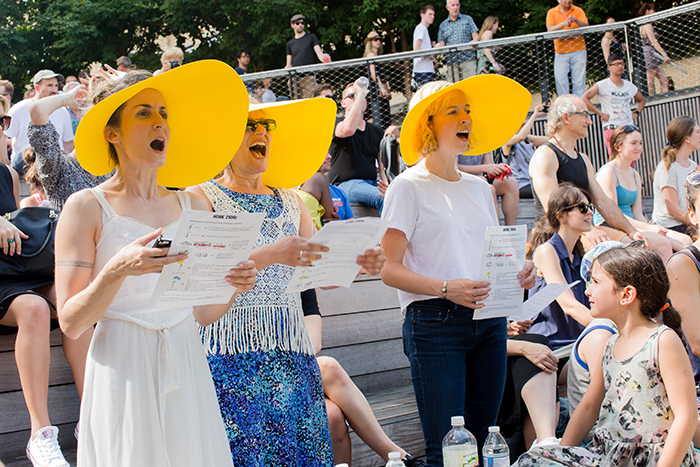 For example, a passing yellow cab would cue the singers assigned to that lane to sustain one specific note, while a motorcycle in another lane would cue an overlapping figure from another group of singers. 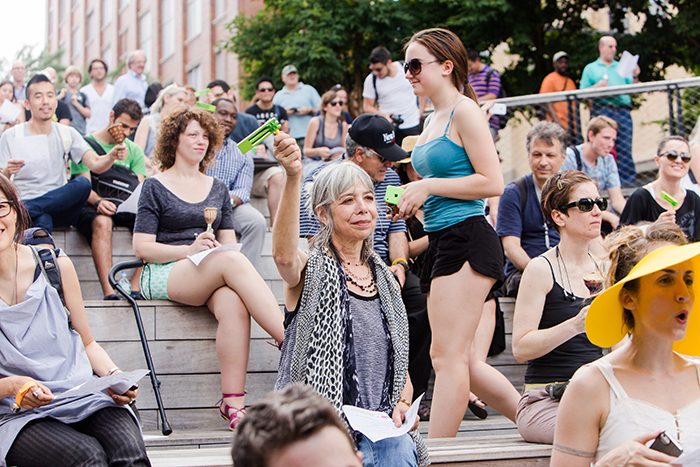 Small percussive instruments were distributed to the audience along with a pictographic score, allowing them to participate in the spontaneously evolving soundscape. 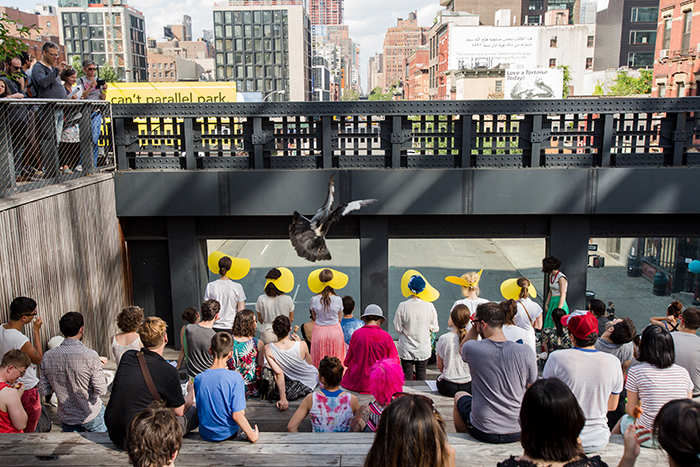 Special thanks to Solana Chehtman, Gonzalo Casas and Lauren Dapena.